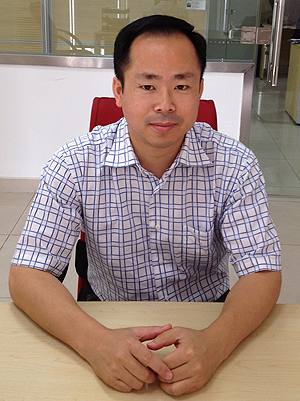 Henry Hu (39) has been appointed General Manager of Concentric China, a wholly-owned subsidiary of Concentric AB, the leading supplier of pumps for diesel engines and Haldex-branded hydraulic gear products including pumps, hydraulic motors, power packs and flow dividers. A graduate of the North-West Polytechnic with bachelor degree in engineering, Henry Hu is a fluent English speaker, with thirteen years experience in US-based multinationals, five of which were as a plant or general manager. He brings to his new post a wide-ranging experience of engineering and management disciplines, including strategic planning, change management, process improvement and LEAN implementation. Concentric's Suzhou factory supports the domestic industry, including China National Heavy Duty Truck Group Corp (CNHTC), Guangxi Liugong, as well as existing Western customers, such as Cummins, Perkins, Carrier and John Deere, who are already building engines in the area. This has proved highly successful and engineers, both in the UK and China, are working on a number of projects for the next generation of Chinese diesel engines and mobile equipment both on and off-highway. Opened in 2006, Concentric's Suzhou manufacturing facility produces oil and water pumps for medium and heavy diesel engines as well as Haldex-branded hydraulic power packs. All products are assembled and tested in Suzhou to the same specifications as used in the company's European and North American plants. The company has an established network of suppliers in China that supply to both its western operations and to the Suzhou facility.